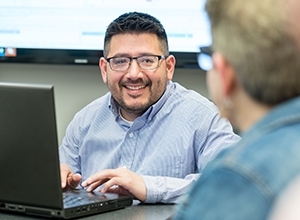 SSOE is serving as the TLCPA’s technical advisor, and is providing engineering, design, and evaluation support for the program. This includes developing standard criteria for project evaluations and inspections, energy audits, green design, technology evaluations, and ongoing energy measurement and reporting. SSOE’s was selected for their extensive experience with energy efficiency initiatives. The firm currently ranks 2nd in Green Industrial and Manufacturing Design, 2nd in Solar Generation Design, and 39th among the top 100 Green Design Firm (ENR, 2010). SSOE was also responsible for the design of the first Gold LEED® certified facility in Ohio and the first Gold LEED central utility plant in the U.S. “SSOE is honored to leverage our experience and be involved with a project that offers the Northwest Ohio community low-cost financing for energy efficiency improvements,” said Jerry Carter, LEED AP BD+C, Sustainability and Renewable Energy Business Leader for SSOE Group. BetterBuildings Northwest Ohio is open to nearly all building types. Building owners applying for funding are required to undergo a facility-wide energy audit to determine the most cost effective energy improvements. 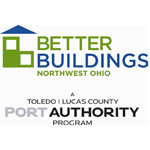 Financing for BetterBuildings Northwest Ohio is available thanks to $15 million in start-up funding from the U.S. Department of Energy. The funding was issued in 2010 as part of the Retrofit Ramp-Up project, part of the $80 billion American Recovery and Reinvestment Act. BetterBuildings is just one of 25 programs across the nation chosen for participation.